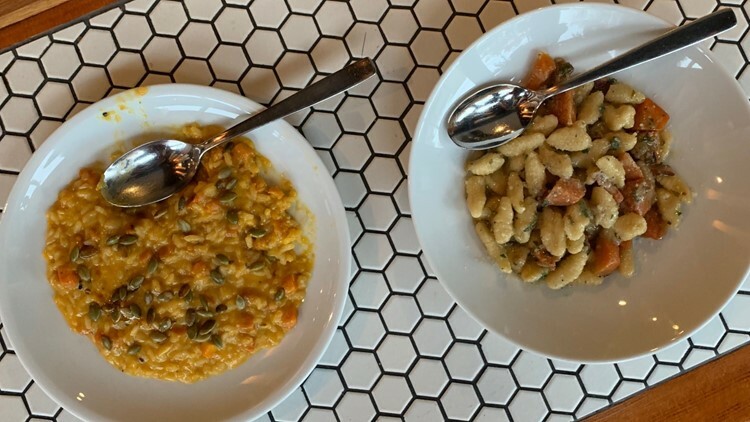 Artusi in Capitol Hill serves up a steal of a deal during their Sunday and Monday Pasta Nights. SEATTLE — Your Sunday and Monday nights are about to get a lot more exciting. If you were looking for a sign to hit the town on a normally sleepy night- consider this your sign! Yes, this is Artusi's Pasta Night, offered every Sunday and Monday from 5pm to close. Two plates of pasta and a bottle of wine for $40. Sign me up! Diners can choose two pasta dishes from a menu of four- usually, there are three options and a special. The dishes tend to change with the seasons, so the winter and summer menus will look different if you visit. As for the wine, you can choose between a red and a white. In the summer, you also have a rose option, while winter offers a sparkling option. And just because the food is inexpensive doesn't mean its low-quality. Artusi makes much of the pasta in-house, and everything is made with quality, seasonal ingredients. 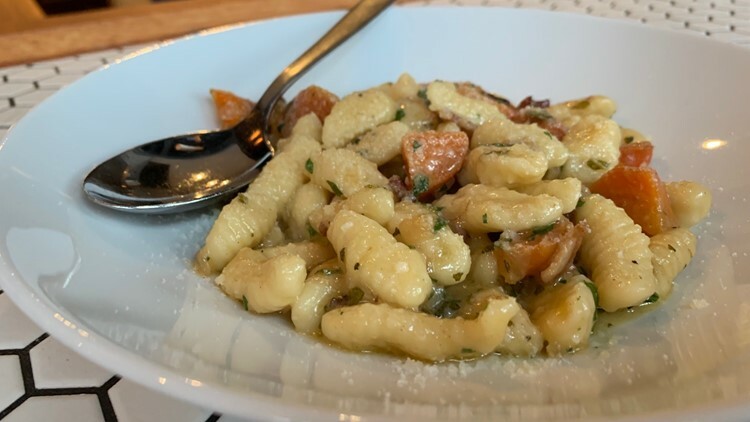 Their house-made cavatelli with carrots, sage and bacon is out of this world. Just one of the options for pasta night at Artusi. So, if you're looking for a great spot to grab some quality pasta and a nice bottle of wine, head to Artusi in Capitol Hill.